The backpack features an ergonomic padded spine support that contours to the dog’s back for a comfortable fit and provides weight distribution for the two saddlebags. The pack offers space to store all of your canine's travel essentials such as food, treats, toys, first-aid supplies and travel bowls. Includes a large handle to help dogs over rock scrambles or extract them from water. Two saddlebags offer liberal room for adventure essentials. 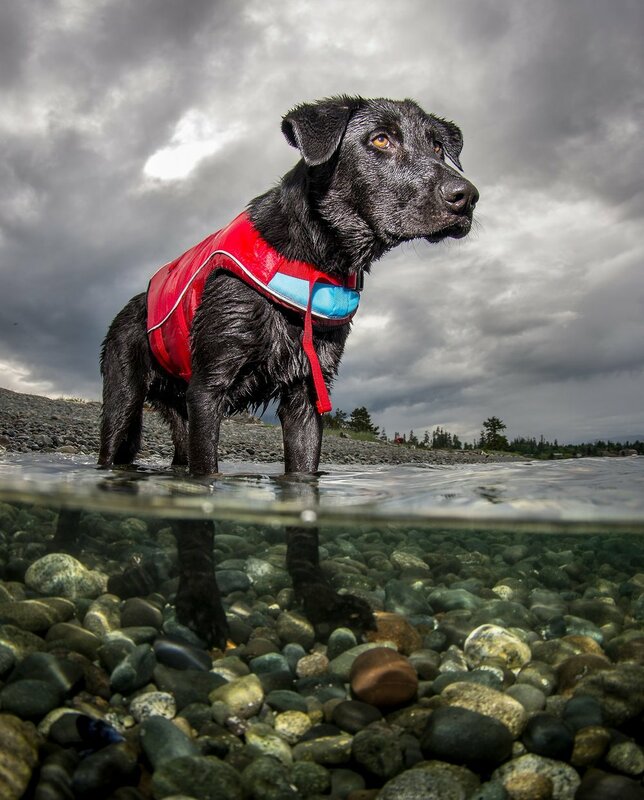 The Kurgo Surf N Turf Coat is both a dog life vest and a three-season shell in one. 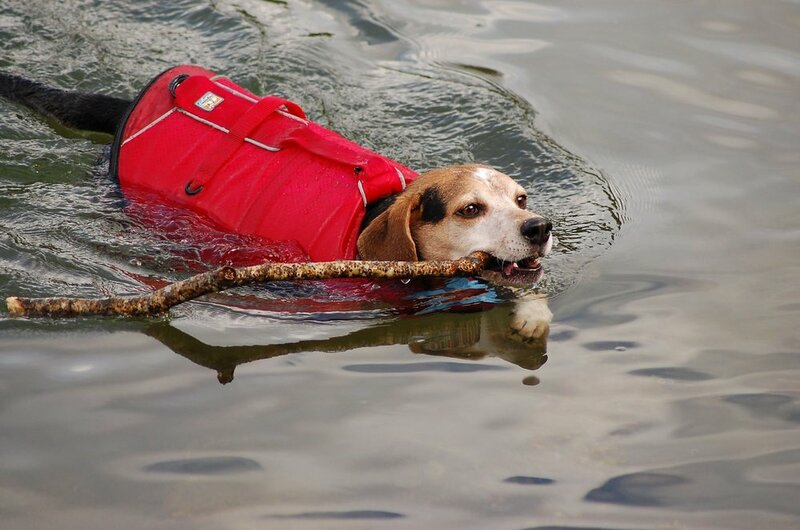 Intended to comfortably fit your active dog in the water, the flotation layer can easily be removed and the coat can be used as a waterproof shell that doubles as a dog raincoat. Other features include two metal d-rings for leash connections; two transverse handles to help you easily control or extract your pup from the water; and high contrast color with reflective trim. With the Kurgo Surf N Turf Coat you will have the right jacket for every excursion.